“Whose Streets? OUR Streets!” yell rowdy demonstrators when they surge off the sidewalk and into thoroughfares. True enough, the streets are our public commons, what’s left of it (along with libraries and our diminishing public schools), but most of the time these public avenues are dedicated to the movement of vehicles, mostly privately owned autos. Other uses are frowned upon, discouraged by laws and regulations and what has become our “customary expectations.” Ask any driver who is impeded by anything other than a “normal” traffic jam and they’ll be quick to denounce the inappropriate use or blockage of the street. Bicyclists have been working to make space on the streets of San Francisco for bicycling, and to do that they’ve been trying to reshape public expectations about how streets are used. Predictably there’s been a pushback from motorists and their allies, who imagine that the norms of mid-20th century American life can be extended indefinitely into the future. 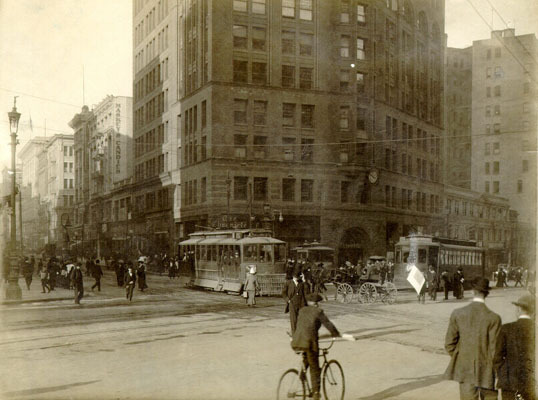 But cyclists and their natural allies, pedestrians, can take heart from a lost history that has been illuminated by Peter D. Norton in his recent book Fighting Traffic: The Dawn of the Motor Age in the American City. 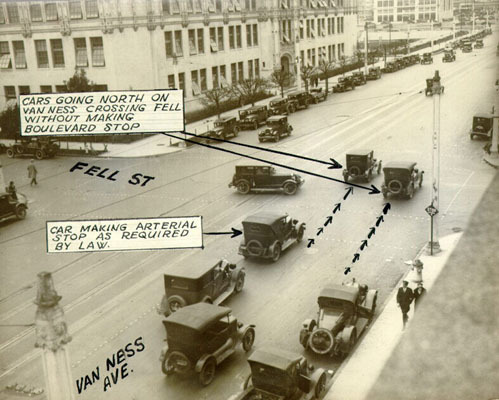 He skillfully excavates the shift that was engineered in public opinion during the 1920s by the organized forces of what called itself “Motordom.” Their efforts turned pedestrians into scofflaws known as “jaywalkers,” shifted the burden of public safety from speeding motorists to their victims, and reorganized American urban design around providing more roads and more space for private cars. For decades, over 40,000 people have died each year in car crashes on the streets of the United States. This daily carnage is utterly normalized to the point that few of us think about it at all, and if we do, it’s like the weather, just a regular part of our environment. But it wasn’t always this way. 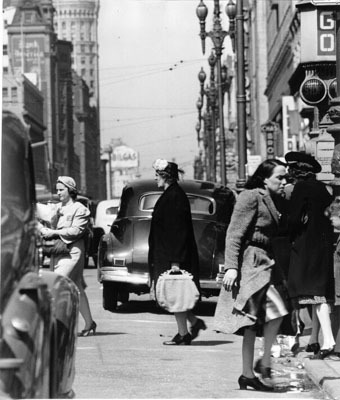 Back when the private automobile was first beginning to appear on public streets a large majority of the population, including politicians, police, and business leaders, agreed that cars were interlopers and ought to be regulated and subordinated to pedestrians and streetcars. In 1895 there were four cars registered, in 1905 there were 77,400 in use, in 1915 the total had risen to 2,309,000, and in 1925 there were 17,512,000 passenger automobiles on the highways, and the total is now in excess of 20,000,000. From 1915 (and especially after 1920), cities tried marking crosswalks with painted lines, but most pedestrians ignored them. 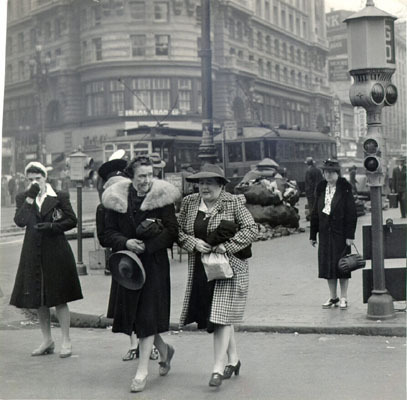 A Kansas City safety expert reported that when police tried to keep them out of the roadway, “pedestrians, many of them women” would “demand that police stand aside.” In one case, he reported, “women used their parasols on the policemen.” Police relaxed enforcement. 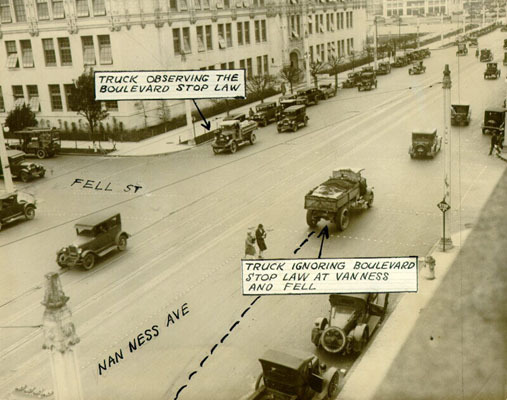 Anti-jaywalking campaigns came to San Francisco too. 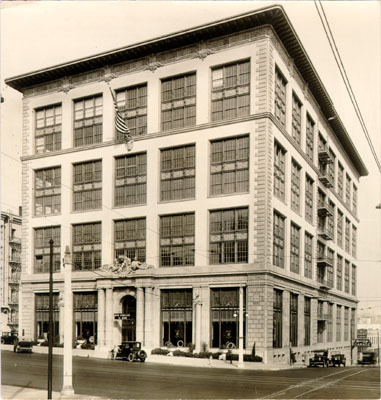 In a 1920 safety campaign, San Francisco pedestrians who thought they were minding their own business found themselves pulled into mocked-up outdoor courtrooms. In front of crowds of onlookers they were lectured on the perils of jaywalking. 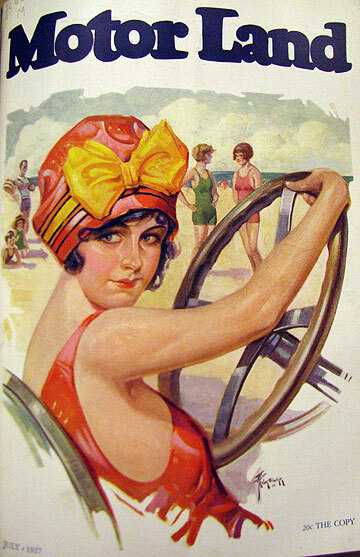 As the 1920s continued, more and more cars were being sold, and the streets were both crowded and contested. Streetcar operators blamed cars for clogging thoroughfares and slowing down their lines, causing late runs and generally inconveniencing passengers. Motorists parked everywhere, jamming curbsides two-deep, when they weren’t weaving through chaotic urban streets. 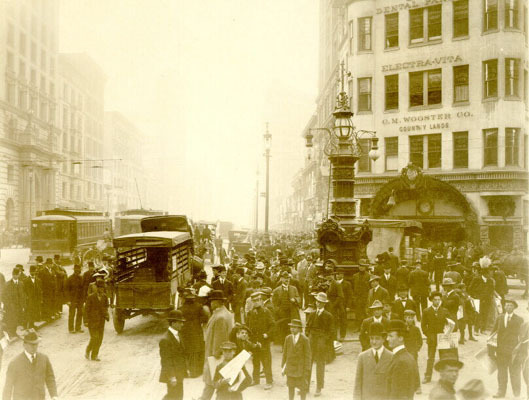 Attempts to regulate and standardize traffic patterns began during this era, with lanes, crosswalks, traffic signals, and parking regulations slowly emerging as “solutions” to the problems created by tens of thousands of private cars filling the streets. There was no “buying-power saturation,” [motordom] said. 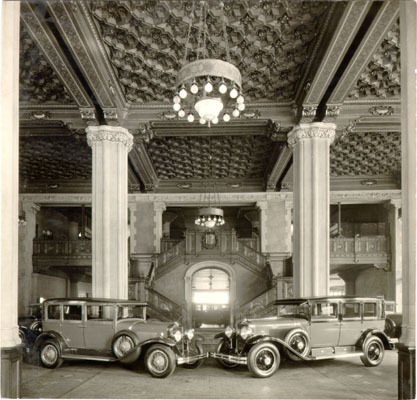 The real bridle on the demand for automobiles was not the consumer’s wallet, but street capacity. Traffic congestion deterred the would-be urban car buyer, and congestion was saturation of streets. By the late 1920s, a young graduate student named Miller McClintock had become the nation’s pre-eminent traffic researcher thanks to his 1925 thesis “Street Traffic Control.” His career is a window into the process of private corruption of public interests that riddles American history up to the present. Two years later all had changed. McClintock wrote of “the inevitable necessity to provide more room” in the streets. He called for “new streets” and “wider streets.”… In 1925 McClintock virtually ruled out elevated streets as expensive and impractical; two years later he urged that they be considered. What had happened in the two years between the diametrically opposed advice given by McClintock? 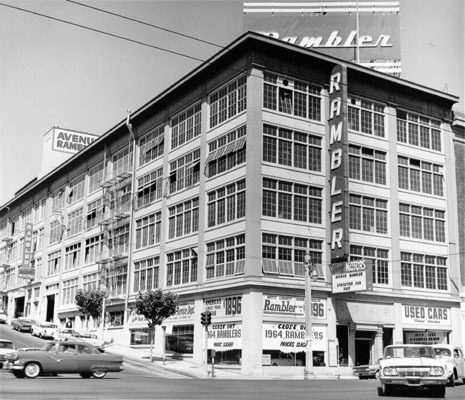 He had been hired by Studebaker’s Vice President to head up the new “Albert Russel Erskine Bureau for Street Traffic Research,” which was first placed in Los Angeles where McClintock was teaching at UC, but a year later moved by Studebaker to Harvard University, where the car company continued to fund the ostensibly “independent” institute. 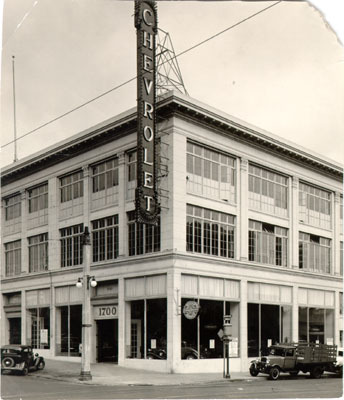 As the years went by McClintock became one of the foremost authorities on traffic planning, though his organization dropped the “Albert Russel Erskine” from its name when the chairman of Studebaker Motors committed suicide in 1933! 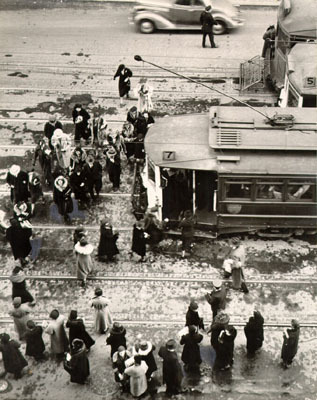 Incredibly, streetcars were used by 70 percent of the people depending on some kind of transportation to get downtown, while only a quarter used passenger cars, but the latter made up 61 percent of vehicular traffic as compared to 11 percent for the streetcars! 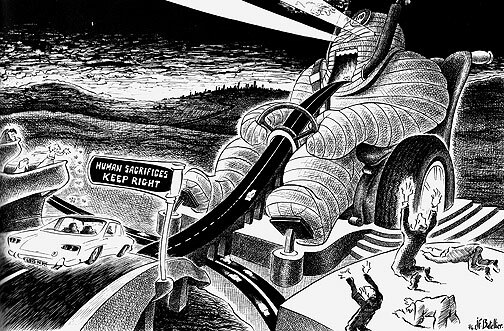 What has been poorly understood in the triumphant narrative of the private automobile is how cars benefited from enormous public expenditures, even when they were being used by a relatively small minority of the population. New infrastructure to accommodate motorists far outstripped any public investment in public streetcar service, let alone any subsidies for the privately owned lines. Meanwhile, electric streetcar companies were slowly going bankrupt, with their fares publicly restricted and the public streets on which they operated slowly being taken over by private vehicles. Miller McClintock continued his work on behalf of the auto industry from his bought-and-paid-for perch at Harvard University. Miller McClintock [became] the impresario of a new kind of highway road show. 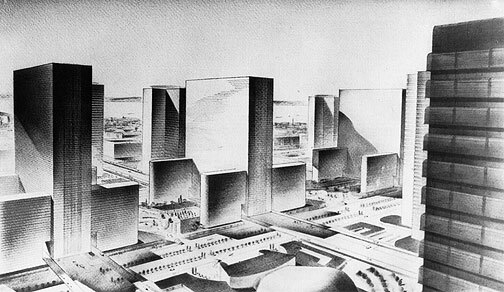 In the spring of 1937, the Shell Oil Company combined McClintock’s traffic expertise with the talents of the stage designer Normal Bel Geddes to build a scale model of “the automobile city of tomorrow.”… Others interested in the rebuilding of cities for the motor age adopted Shell’s technique. At the 1939 Golden Gate International Exposition, United States Steel displayed its vision of San Francisco in 1999, with wider streets, cloverleaf intersections, and an elevated highway. Artist Donald McLoughlin had prepared a dioramic view of San Francisco in 1999 for the US Steel exhibit in the Hall of Mines, Metals and Machinery. This prognostic nightmare showed the city stripped of every vestige of 1939 except Coit Tower, the bridges and Chinatown. All maritime activity had disappeared from the Embarcadero. Shipping was concentrated at a super-pier at the foot of 16th Street. North of Market Street every block contained a single, identical high-rise apartment house. South of Market, sixty-story office towers of steel and glass alternated with block-square plazas in a vast checkerboard pattern. Elevated freeways ran through the geometric landscape. 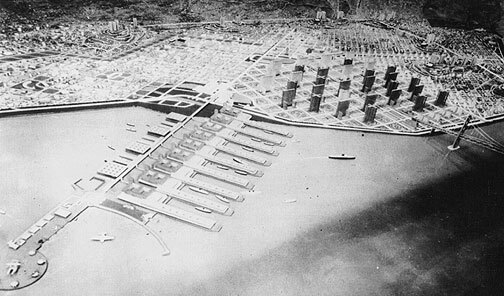 McLoughlin correctly anticipated the removal of maritime activity from San Francisco’s waterfront, though his massive modern pier is spread along the Oakland bay shore rather than on a prominent pier jutting out from 16th Street. Visions like this, and the better known version in New York, informed the post-WWII population as it fled cities for the suburbs. Those who remained though, had a different idea of what our cities would become, and thanks to their stopping the highway builders in their tracks in the late 1950s and early 1960s, San Francisco was not crushed in this way. 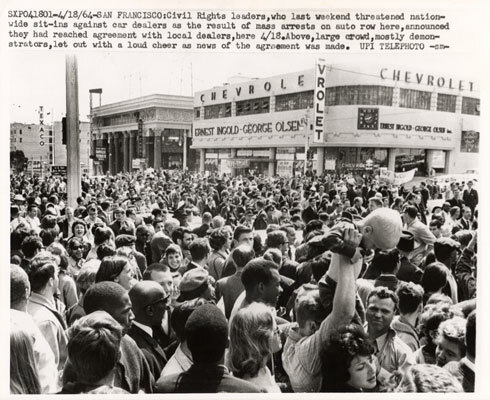 Interesting to recall that while 30,000 citizens were mobilized to stop freeway building in San Francisco (the very same elevated, pedestrian-free streets McClintock had come to endorse as an industry flack) thousands more, mostly African American and white youth, staged a vigorous civil rights campaign along auto row, demanding that blacks be given equal treatment in hiring by auto dealers, especially Don Lee’s Cadillac dealership. Contrary to the fervent wishes of today’s motorists, streets have not always been the domain of cars. Clever marketing prior to the Depression led to radical redesign of both the physical streets and our assumptions about how public streets should be used. As we ride to and from work on our bicycles these days, or get together in Critical Mass or Bike Party social rides, we are participating in a new push to redefine how streets are used, and most importantly, how we think about public space. While we haven’t yet found a new consensus, the rising tide of bicycling, parklets, Sunday Streets, car-free zones, etc., all amply demonstrate that the private car’s days are in decline. Add a dollop of global warming and a couple of scoops of cheap fossil fuel scarcity, and the question of Whose Streets is once again a key issue of social contestation. Perhaps at least we can stop blindly accepting death and mayhem as an inevitable and natural consequence of our social transportation choices! Cartoon by Jean-Francois Batellier, a French artist who sells his art and books on the streets of Paris. Well put. Very well put. Thanks for the write-up. The fact is, is that cars won’t be leaving anytime soon. Although I agree that bikes definitely need their space on the roads, it’s hard for people to see how having bikes on the roads benefits everyone as a whole when cyclists break road rules all the time. As a person who rides their bike to commute and also drives, things like Bike Party and Critical Mass, although fun does the exact opposite of what cyclists want to achieve. It gets car drivers mad and instead wants cyclists off the road altogether. I think the correct approach would be to use the designated bike lanes and follow road rules. Only then, will a car-centric nation start to see that cycling is a legitimate form of transportation and not just a nuisance on the road. Sure, streets weren’t always the domain of the automobile but today, they are and that’s just how it is. Cyclists can’t whine or push their way back into taking the streets, it unfortunately, has to be done in humility to the automobile. There are more investments being pumped into alternative fuels and fuel-efficient cars than there is in creating a healthy biking infrastructure so although private cars are in decline, they won’t be disappearing anytime soon. I think the solution is a harmony between automobiles and bikes. As a person who enjoys both modes of transportation, I think we need to first stop demonizing each other and think of ways, instead, to coexist. Like how pedestrians and cars were eventually able to figure out a compromise. Note that I’m not being anti-bike and/or pro-car. I’m just trying to be reasonable. It’s very easy to only see one side when you’re clearly only on that side. 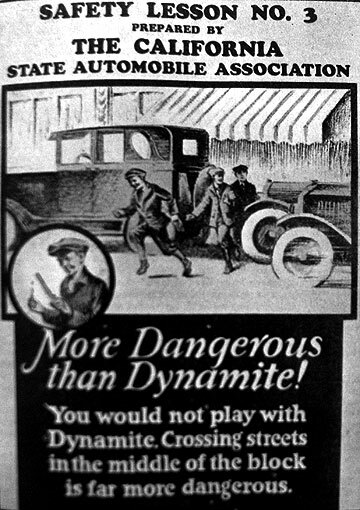 Pedestrians and cars never found a compromise. People just got tired of being killed and began to stay on the sidewalks out of fear for their lives. It was the drivers who “broke road rules all the time” that secured access to the roads by intimidation and the sheer mass of a vehicle that was vastly more dangerous to a bystander that to its operator. I’ve never once almost killed a driver while cycling. Yet rarely do I have a day on my bike (and I am one of the few who obey all traffic laws) when I don’t have a close encounter with a careless or aggressive driver. Fantastic blog post. The key is to break the religion of the dogmatic primacy of motor vehicles, a religion which has been the payback of billions of dollars of advertising and lobbying by the auto and oil companies. People like to overstate the problem of bicyclists not obeying traffic laws. Most bicyclists ride safely and courteously and yield when they should. So what if that rarely involves stopping at stop signs? If anything needs to be fixed, it’s the laws, which outlaw behavior that is safe and sensible. And if anyone has a problem with SF bike party, they can lump it! =v= As oil becomes more prohibitively expensive to obtain and alternative means of fueling cars remain uninspiring, it is definitely time to work out better uses of public space than we have. Plus, there’s nothing unreasonable about being anti-car. We’re talking about the greatest waster of human lives, ecosystems, and economies we’ve got, as well as a top motivator of most of the wars waged during its existence. Bicycles could not break the Traction Trusts. Automobiles did. Historically, you ignore that distinction at your peril. Know what a “dodger” was? Vehicular rights-of-way predate the car by decades. Viewed from outside The City, you write as if “in thrall to the trusts,” as they used to say. The fact is, if you’re under 55 and earn less than $200 K, you can be assured that some kind of non-automobile mode of transportation is in your future. (If you’re over 55 and have a high income, you may just be able to ride the peak oil curve down to your waning, infirm years.) Arguing for the preeminence of cars is arguing for the privilege of what will become a fairly narrow elite, as it was when motoring first began. If you’re certain you’re going to be in that elite, then it makes sense to talk about whining and humility. If you’re not so sure, you might consider that creating viable alternatives now that are safe, convenient and pleasant is in your future best interest. We will find that we are living in the century of energy. Or lack thereof. At present there isn’t enough alternative fuel or electricity available to power ten percent of our current fleet of cars. Even if we had a collective epiphany that caused us to suddenly start allocating sensible amounts of resources and effort towards future energy supply, we face at least a couple decades of low-energy living due to our utter lack of preparation for the predicament we face. Maybe our descendants will get solar and wind built out at the scale humanity needs. Maybe they’ll have a truly innovative breakthrough and discover a source of cheap, boundless, sustainable energy that humans will delight in until the end of time. We can certainly hope. But as things stand right now, peak oil, the export land model, the declining Energy Returned on Energy Invested (EROEI) on all forms of fossil fuel, and the incredible amount of resources (water and energy) needed to turn tar sands or corn into fuel (or, for that matter, to maintain an enormous military to conquer and defend fragile oil infrastructure in far off lands) mean that the U.S. is going to have many fewer cars coming soon to a city near you. I drive half of all my trips, so I do see both sides. And I see that any country that currently imports more than half its oil is not sitting pretty at this moment in history. 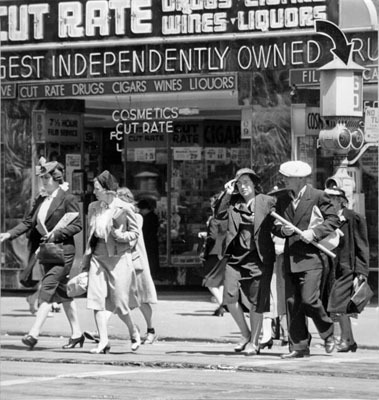 Love all the photos of old San Francisco. I also like how these articles help us connect the dots between what was and what is, the choices and politics involved. I trust this series will eventually be turned into a book? What was a dodger? I have been interested in that for a long time. There is an old folk song where a dodger means a sort of swindler. “The preacher is a dodger,” etc. with white walrus whiskers was talking angrily. officer he threw a stone. . . . This sort of thing has got to stop. Bud edged up next to a young man in a butcher’s apron who had a baseball cap on backwards. Yes, because we all read the part where our cities were motorized with automobile infrastructure because of the wonderful behavior of people who were driving cars.